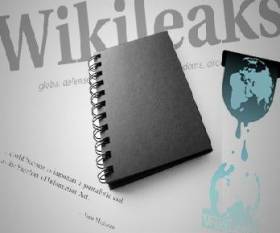 What is WikiLeaks? | Open Culture What is WikiLeaks? WikiLeaks has done it again. This weekend, the whistle-blowing website released 92,000 military documents that vividly illustrate why the US military campaign in Afghanistan has achieved so little success. Among other things, the release shines a light on Pakistan's intelligence apparatus, which has provided strategic support to the Taliban, helping it coordinate attacks against US troops and assassinate Afghani leaders. (Meanwhile, Pakistan officially claims to be an ally of the US.) The founder of WikiLeaks, Julian Assange, called this release "the nearest analogue to the Pentagon Papers" published during the Vietnam War. "It provides a whole map, if you like, through time, of what has happened during this war." This is not the first time that WikiLeaks has made news lately. In April, the site released footage showing US troops launching a seemingly unjustified air strike in Iraq, killing 12 people, including 2 Reuters journalists. (Click here and scroll to bottom for video.) And last year, WikiLeaks helped get "Climategate" rolling when it published memos from climate scientists – memos that gave conservatives ammo to argue that global warming is a fiction. So what is WikiLeaks all about? On July 14, NPR's Fresh Air interviewed Philip Shenon, an investigative reporter previously at the New York Times, and now contributing to The Daily Beast. During the 35 minute conversation, they enter the secret world of WikiLeaks and answer your questions. You can stream the interview here, grab it on iTunes, or listen below. Assange’s video was edited to support his progressive agenda. You might want to include that fact to your “reporting”. I use that term lightly due to the overwhelming bias evident in today’s media. Journalism is dead. This blog entry wasn’t attempting to report anything. It was providing a little context for an audio interview. For what it’s worth, the Salon article (which I linked to) not only shows the WikiLeaks video, but also talks about why the clip may not be as incriminating as Assange suggests. Also, the NPR interview doesn’t always present WikiLeaks in a glowing light. Did you bother to explore either of these items?